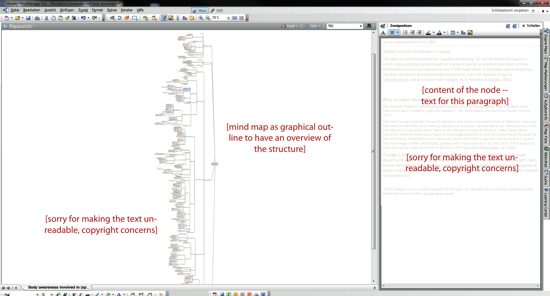 A colleague of mine writes the papers for his dissertation at the moment — using mind maps. While I prefer Circus Ponies Notebook and Outlines, I think his approach has a lot of merit for the more visually minded. The uses the nodes of the mind map to create a structure he can easily grasp and the commentary fields to the nodes to write the text. The mind map structure gives him a hierarchical order (indispensable if you want to make a text out of it) and the ability to quickly reorder elements of the text. 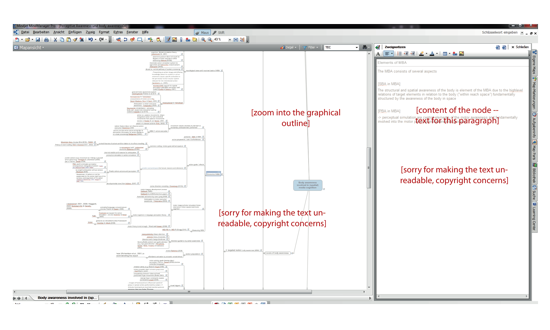 If the work is finished, he exports the mind map as text, which gives him a good first draft of the final text. According to my colleague, a lot of people work this way and use the platform-independent and OpenSource program Freeplane. 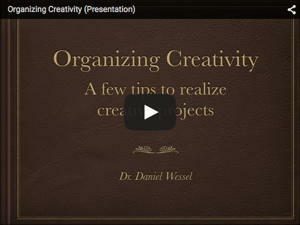 Perhaps this approach is something for you. 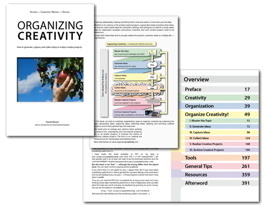 I am seriously thinking of trying out mindmapping – I consider myself a visual learner but have never really enjoyed mind maps as much as I feel I should (I completely get your review about curio btw, it’s something I have played with for years – literally – but have never been able to harness effectively). So, it would be great to see how the pictures you have here look in cloder view. Does your friend have some maps that might be available for public use? I’ve asked him, can’t promise anything though. The problem is that he uses them to write articles, which have copyright concerns, especially regarding the results. I’ve just received his reply — unfortunately, everything he did write this way is still not published. Meaning it is not possible to give out close-ups. However, he also said (I’m translating and paraphrasing his words here) that he simply follows the known document structure for articles with headers (level 1) down to the level of paragraphs (level n). Only sorted as MindMap. Otherwise you’d have problems exporting it as linear text (which is the goal).